Wildlife officials in India have caught a leopard nearly 36 hours after it was first spotted in a car factory. Rescuers tranquilised the animal after a massive search operation at Maruti Suzuki’s manufacturing plant in Manesar town, not far from the capital, Delhi. The big cat was first spotted early on Thursday morning on CCTV, and made several other appearances after that. Nightshift workers evacuated the building and part of the sprawling factory complex was closed. The car plant is the largest in India, producing almost a million vehicles a year. When thousands of morning workers arrived, they were forced to stand outside and wait while 12 forest department workers and about 50 policemen were deployed in the search. 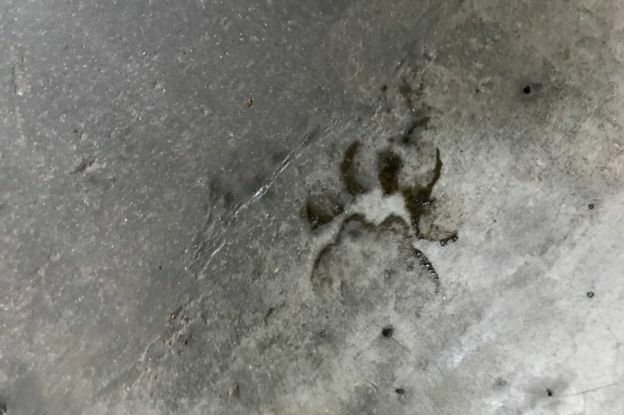 The animal was spotted on CCTV in the engine department, which covers six acres. A local journalist at the scene told the BBC that rescuers had brought in two live goats and raw meat to lure the leopard out of hiding. Some people also tried throwing firecrackers in a bid to dislodge the big cat, wildlife conservator Vinod Kumar told the Press Trust of India. But after the leopard was tracked down and tranquilised its safety was assured, the authorities assured the BBC. “The leopard has been taken to hospital for medical examination and will be released later into the wild,” R Anand, Deputy Conservator of Forests in the Delhi suburb of Gurgaon, told the BBC on Friday afternoon. Instances of human-animal conflict have been increasing in India, where shrinking animal habitats often drive elephants, tigers and leopards into residential areas. There are around 12,000-14,000 leopards in the country, and one is killed every day on average. Last year, a leopard entered a school in the Indian city of Bangalore and injured six people who were trying to capture it. It took 10 hours to catch and tranquillise the animal. However, it escaped from its enclosure a week later.